Millions of college students and college graduates blow it big time when it comes to taking on credit card debt and student loans. I know I did when I was an undergraduate at the University of California, Irvine. When I walked on campus and got tempted by those credit card hawkers saying things like, “Hey, want a free T-shirt?” it was almost like I’d lost my mind. Unfortunately I wasn’t any more discerning, and didn’t handle credit and debt any better while I was a graduate student earning my Master of Arts degree in Journalism from the University of Southern California. Thank God I’ve finally learned the secrets to having Zero Debt and Perfect Credit. Sure, I knew – like most students do – that you’ve got to pay back the bank for all those charges you make. But for most students, that’s a distant concern. They’re enchanted by the idea that they can (in their own minds) get something free today, simply by slapping down a piece of plastic at a department store or retailer of their choice. But credit cards are anything but free—and neither, of course, are student loans. In fact, using the word “credit” for people in college is a particularly egregious misnomer. The word credit often has a positive connotation for college students. You’ve all heard the expression “I give him credit for doing this or that.” And what about college students who love to get “extra credit” from professors? As you can see, in most contexts, the word “credit” gets used positively among students, and that’s the time at which many people are most unsophisticated, vulnerable, and likely to get tripped up by using credit the wrong way. But it might help you to think about a credit card as what it really is: an IOU card. I had a wise retiree tell me recently, in fact, that credit cards should be renamed “debt” cards. That’s an interesting thought. Are Credit Cards Inherently Evil? But none of this is to suggest that credit is inherently a bad thing or that you should not have credit at all. For many people, having credit allows them to function in society in a seamless way, and to use credit as a convenient method of payment. 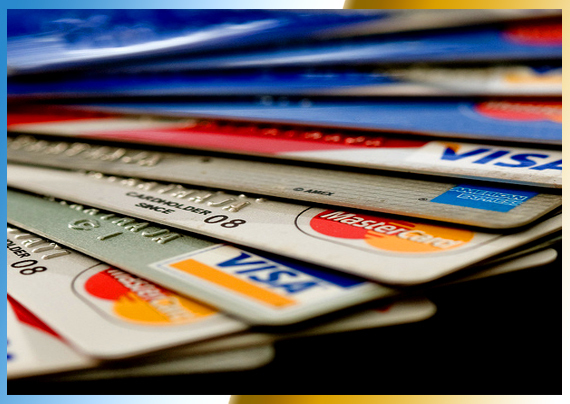 Credit cards enable us to do everything from shop online to rent automobiles to avoid carrying around a wad of cash. So the idea isn’t to say, “I’m never going to use credit cards again,” especially if you have had a financial problem. In my opinion, credit cards aren’t inherently evil or bad to have and use. What’s bad is when we overuse or abuse credit and when we take on unnecessary or excessive debt. That’s what gets you into trouble. Ideally, of course, you should try to live as debt free as possible. If you owe no one – no mortgage, no student loans, no credit cards and so one – more power to you. But that’s not always feasible or realistic for every person all the time. So it’s imperative that we look at credit and debt in the proper context. Not only are credit cards and student loans not free money, these are borrowed funds that can actually be quite costly if not properly managed or if allowed to linger on year after year. With credit cards, you’re really getting an up-front loan to pay for various purchases, so in this manner, credit card debt and student loans aren’t that different. They’re both fundamentally loans. And for the privilege of receiving that loan, you’ll pay dearly in most cases. The typical student credit card has an interest rate of about 20%, according to CardRatings.com, a great free resource that helps consumers comparison shop for the best credit card deals available. At 20% interest that means for every $100 you charge, you’ll pay an extra $20 on top of that, if you take a year to pay the bill. rates at less than 9%, if you stretch out your student loan payments (as most college grads do), you can wind up paying two to three times your original student loan amount because of interest charges alone! With that credit card, you’ll also face a slew of charges, such as annual fees, cash-advance fees, finance charges on the outstanding part of your bill, late payments, and over-the-limit penalties. So don’t ever accept a credit card offer or student loan without a very good idea about how you will repay it and how long that repayment will take. That’s not smart financial planning, and it’s the easy way to financial ruin. One reason that mindset could land you in trouble is because you’ll probably take on more student loans and more credit card debt than you anticipate. Why? For starters, everything always costs more than you think it will. And the same thing is true with your educational costs too. Why would higher education cost more than you estimate? A big reason is that many students mistakenly think (or thought) they’d finish school in just four years. In truth, those days are long gone. Students take an average of 6.2 years to complete their degrees in public universities, and 5.3 years to graduate from a private school, according to the College Board. For those who aren’t conscientious about the debts they take on, this means additional student loans and more credit card debt racked up along the way. Don’t let that be your fate. Instead, learn how to manage credit and debt wisely and you’ll be financially ahead of the game – while you’re in school and once you get into the “real” world.